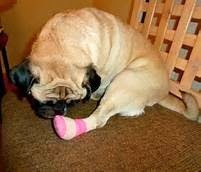 Has your dog cracked or torn a toenail? 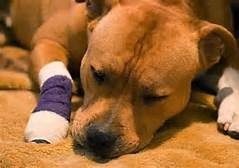 Depending on the severity of the injury, your dog could be experiencing discomfort and pain from the affected toe. A lot of times these torn nails can bleed and look messy. The severity of the crack/tear will determine treatment. However, regardless of the situation, Kingsbrook Animal Hospital recommends giving us a call to speak with staff to determine the next steps to be taken in helping your pet. There are a few possible reasons your dog’s toenail may have split. Your dog most likely caught its toenail on something in the environment. Another factor to consider is age. As dogs grow older, the nails can become thickened and brittle causing them to crack more easily. It is especially important to keep older pets’ nails trimmed and shaped to an appropriate length to help prevent injury. 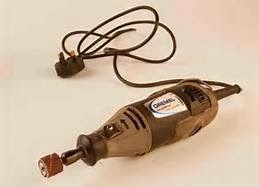 If your pet’s toenail is minimally cracked, the KAH staff can trim the nail or use a dremmel to smooth out the nail and reduce the likelihood of the nail catching and causing a more traumatic injury. At home first aid can be administered prior to bringing your pet to our office for treatment. A soft square of gauze can be placed around the affected foot and wrapped with an ace bandage or secured with medical tape to apply pressure and slow any bleeding that may be present. Your dog may be very sensitive any touch on and around the area. In these cases, it may be best to place a layer of old, clean towels on your car seat that your pet can sit on before coming in to our office. Once at our location, our great staff and vets will be able to help your pet feel more comfortable. More severe torn toenails can be very painful. If the pulp (or quick) is exposed, it can bleed or ooze and be especially sensitive. Kingsbrook Animal hospital is very conscious of managing your pet’s pain and trying to make the experience as stress-free for both you and your dog. Typically, our technicians will give your dog an injection of pain medication and sedatives. This allows for further investigation of the area without causing more pain and anxiety to our furry patient. If the toenail is still attached, it will most likely need to be removed or trimmed. Once sedated, the area can be clipped of fur and the toenail is then removed. The toe is cleaned using an antiseptic solution and an antibiotic ointment may be applied topically. The foot is then bandaged for a couple of days. The bandage is applied for a few reasons. It helps to prevent the site from exposure to bacteria and infection and it prevents your pet from licking the area which can introduce bacteria into it. The bandage also makes it more comfortable for your dog to walk. A great aspect of the sedatives that we give your dog is that they can be reversed! This means that once the doctors and technicians are done with the procedure, your pup will be given the reversal agent which leads to a very speedy recovery. Your dog will be able to go home very shortly afterward. Generally your pet is sent home with oral pain medications (or NSAIDS), and oral antibiotics. Here at KAH, our great doctors and staff recognize that your pet is an individual and that means that all treatment is tailored to your pet’s needs. Please call our office located in Frederick, MD with any questions that you may have. This entry was posted in Frederick MD, Kingsbrook Animal Hospital, veterinarian on October 15, 2013 by yourfriends.